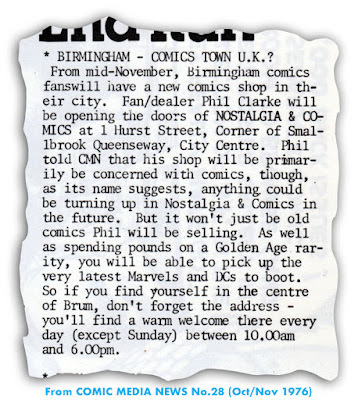 As from today, the UK's longest running comic shop, Nostalgia and Comics, is no more... but don't panic! It's had a complete refit and a name change to Worlds Apart. 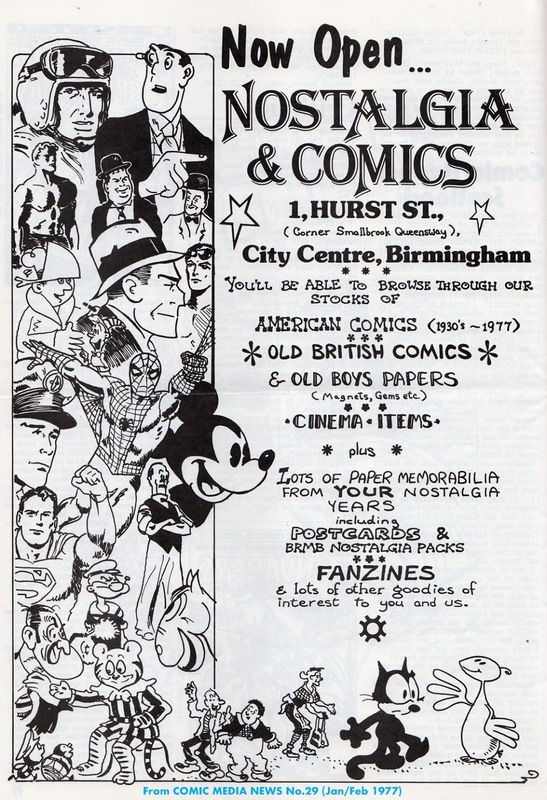 Yes, they still sell comics, - although you'll find them upstairs now, with the ground floor being used for Funko Pops and other merchandise. With two floors, the new shop at 14/16 Smallbrook Queensway was brighter and more comfortable for customers. They are the same premises still in use today. Years ago, Phil Clarke gave up ownership of Nostalgia and Comics when it was bought out by the Forbidden Planet International company, although they retained the name Nostalgia and Comics... until today. Now, with a complete refit, the name has been changed to Worlds Apart, which is also the name of a comics shop in Liverpool owned by FPI. I guess it makes sense for the sake of unity and branding to use the Worlds Apart name for their shops, but for many of us it's a sad loss to see the name Nostalgia and Comics go after more than 40 years. 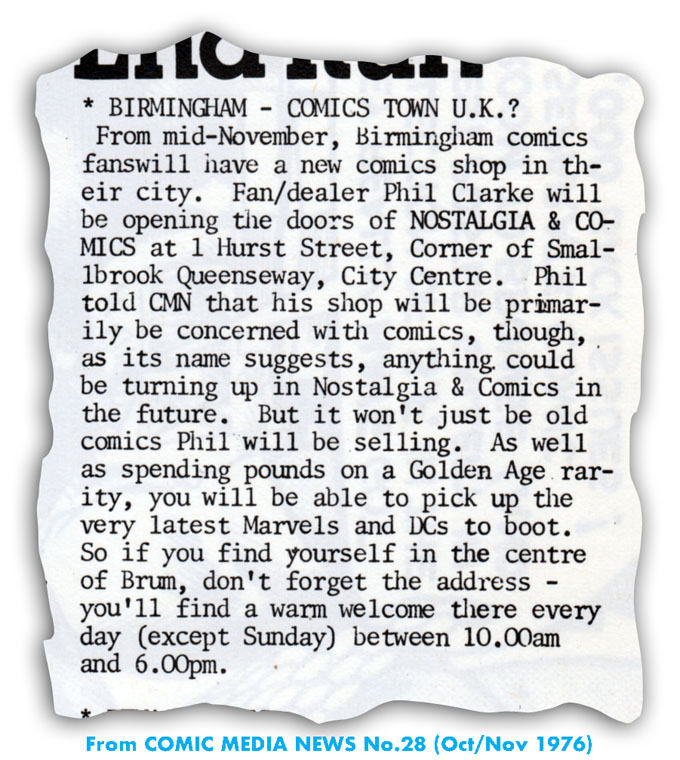 I was one of the original customers back in the 1970s and was a regular for many years, meeting up with other customers on a Saturday or Thursday before heading off for our weekly pie and a pint or whatever. Admittedly I don't visit as often as I used to but I'm sure it's still a great community spot for readers and will continue to be so under its new name. 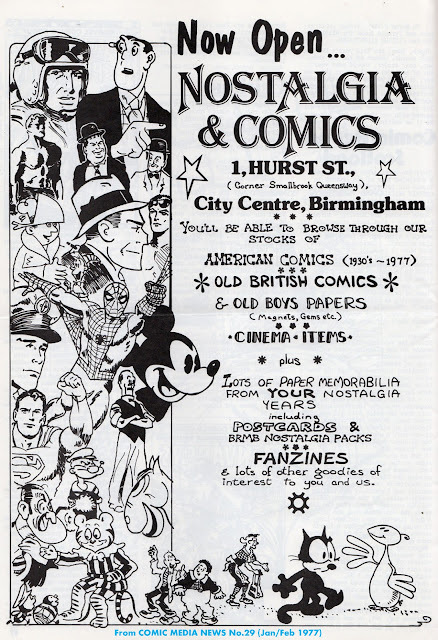 Goodbye then, Nostalgia and Comics, but here's wishing Worlds Apart a bright and prosperous future! 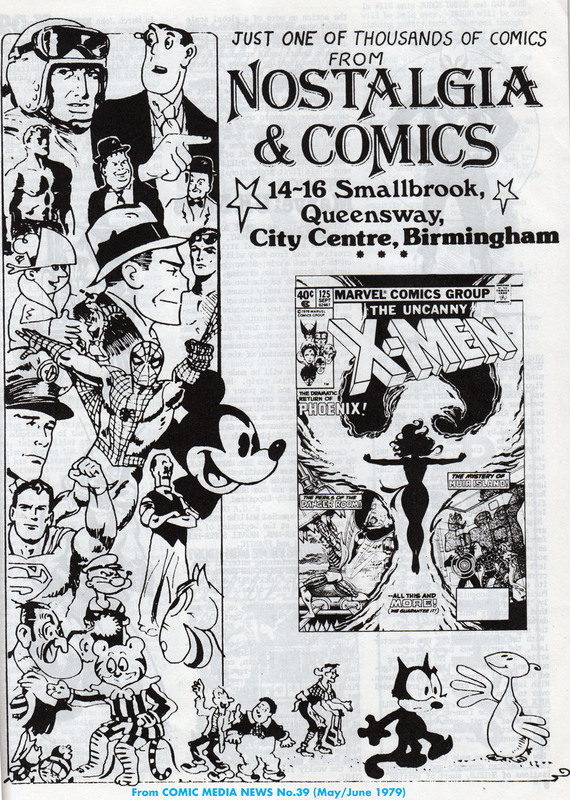 I have a Nostalgia and Comics tale! In about 1991 I had to be in London at a particular time one Saturday for a birthday surprise and I had promised to pick up an old magazine cover date of the actual birthdate which I'd seen at N&C when I was there the previous weekend as a gift for the special someone to present to the birthday boy. I travelled on the West Coast mainline so I could get off at Birmingham New Street and stroll down to N&C then stroll back for the Euston train around 40 minutes later. Upon exiting the station I was confronted by- The Birmingham Marathon! In the days before the internet, these surprises were common! I can still remember the pained look on the stewards face as I dashed over the barrier he was closing, wove through the runners and escaped onto the next street, virtually intact! Of course I then had to repeat the operation in reverse. Luckily, I not only managed it but got that very suitable mag with the exact date and the party was a great success! Phew! I feel exhausted just remembering all that. No wonder we were all so skinny! Now that's what I call dedication to comics! Shame about the name change, but I will keep going in. Most people will still call it tnostalgia and comics! 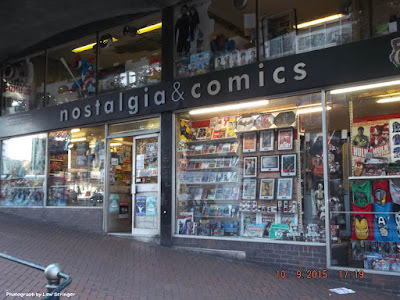 The shop needed a refit and it does look good, but it's a pity that by changing the name it'll lose the status of being the UK's longest running comics shop... now that honour will soon belong to their rivals at Forbidden Planet, which opened in 1978. Reverend Cross - Origin Special! 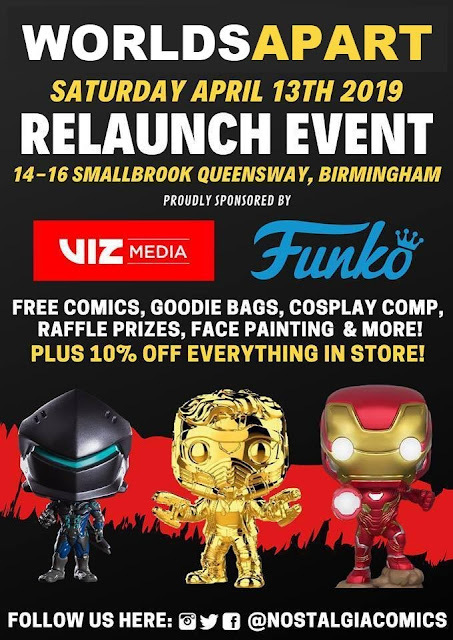 See you at STOKE-CON-TRENT this Sunday! NEW! OUT NOW! Introducing... THE BLANK!